Grishchuk is a Russian Grandmaster and was the Russian Champion in 2009. 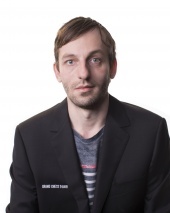 Grischuk has played in the Candidates tournament three times and is also a three time winning World Blitz Champion. In November 2014, Grishchuk crossed the elite 2800 ELO rating mark when he took clear first place with 5/7 points in the Tashir Chess Tournament in Memory of Tigran Petrosian. Most recently, Grischuk shared first place with Maxime Vachier-Lagrave and Shakhriyar Mamedyarov in the first event of the FIDE Grand Prix 2017 in February.